Welcome to November’s edition of Harbour CHIRP. Highlights out and about this coming month are sure to be crisp mornings, autumn colour and birds returning for the winter - filling up the Harbour. Read on to find out what’s been going on in the Harbour over the last few weeks. We are all becoming more aware of the effects of plastics in the ocean and the harm they are doing to marine life and habitats. Sir David Attenborough has highlighted this when talking about the filming of the second series of the acclaimed Blue Planet. If you missed the first episode on Sunday 29 Oct, it’s available on BBC iplayer or you can take a look at the trailer here. 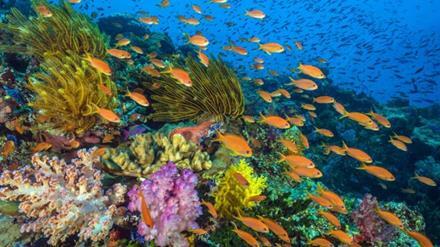 Seeing these amazing images of the underwater world, it’s no wonder Sir David is urging people to protect our seas. Three new Dark Sky Discovery Sites have been designated in the Harbour. The sites were all identified as excellent places for stargazing due to their impressive levels of darkness, excellent lines of sight and good accessibility year round. The locations are north of the Lt. Col. John Q Davis footpath in West Itchenor, Maybush Copse in Chidham, and at Eames Farm on Thorney Island. We made the nominations earlier this year after a public consultation and each was quickly and collectively approved by the awarding body, the Science and Technology Facilities Council. 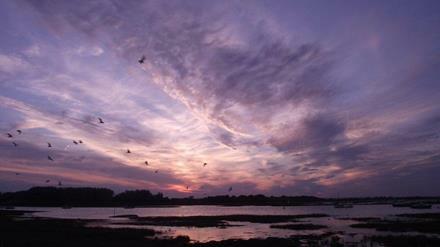 The designations were particularly welcomed because in 2016 the Campaign to Protect Rural England (CPRE) reported that Chichester Harbour had some of the highest levels of light pollution across England’s 33 Areas of Outstanding Natural Beauty. By raising awareness of the issue, we hope these levels of ‘night blight’ can be reversed. Preserving our dark skies has so many benefits. They are important for many reasons - education and astronomy, for nocturnal animals, astro-tourism and development management. For humans dark skies are critical as they affect our health and wellbeing with research showing they can help us achieve a good night’s sleep. We will be organising a number of stargazing events in partnership with the South Downs Astronomical Society as part of our activities programme for 2018. You can find out more about Dark Sky Discovery Sites at www.darkskydiscovery.org.uk. Shark or ray egg cases, commonly referred to as ‘mermaid’s purses’ can be found along the shorelines of Chichester Harbour. When found on the beach, they are usually dry, rigid and rather brittle. To really appreciate them you need to re-hydrate them by putting them in a glass of water for a few hrs – they then return to their original size and texture. They are incredibly strong, flexible and rather leathery, not at all like the small crispy shells you pick up on the strandline. 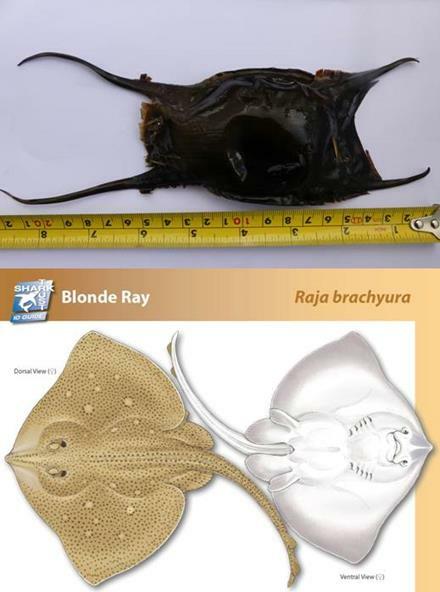 The Shark Trust have produced a great app and leaflet for identifying which species the egg case has come from. There are only about 14 species likely to be found around the whole of the UK coast, so with a bit of practice it is not too tricky to identify the cases you find, and by sending the records in, The Shark Trust can build an important picture of the various species’ distribution. 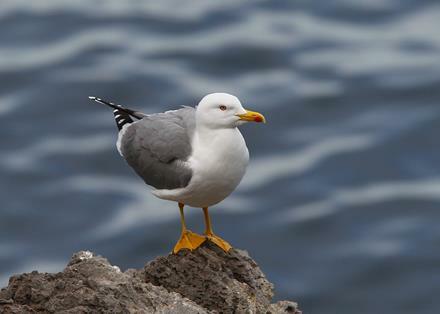 Last month, I added another species to my list, the Yellow-legged Gull. This species is not common in the Harbour so I was really pleased to see one. With more overwintering birds arriving, I hope to add some more to my list as the winter season progresses. Maybe you can start your own #harbour100 and share it with us? The challenge is open to everyone - you can choose your own 100 things to do or see and some people are sharing 100 things to eat or drink! You can choose your own timescale so it’s really flexible. #harbour100 has renewed my interest in Harbour birds and I’m still wondering if I will see 100 different species...I guess we’ll have to wait and see! 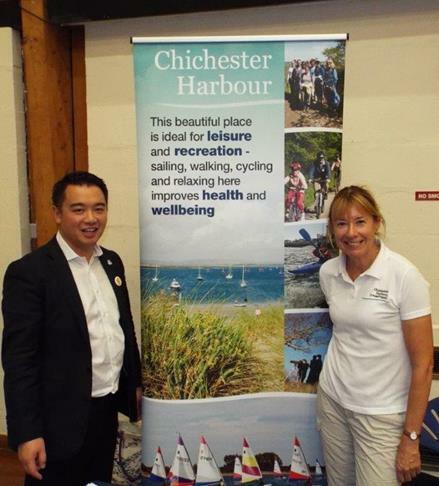 Last month, I was busy meeting people at the Older Persons' Fair on Hayling Island, organised by local MP, Alan Mak. Over 30 organisations were present and visitors were keen to find out more about our Harbour Creekies monthly walks and year-round trips on Solar Heritage. As well as managing the Harbour for nature conservation and its natural beauty, we want to show people how the Harbour can help them too - the views, boat trips and footpaths make for wonderful trips out and can boost health and mental wellbeing. Who doesn't like a bit of peace and tranquillity within their day? You can join me at Emsworth for a gentle Harbour Creekies walk on Friday 3rd November and again on Friday 1st December (meet at Fishbourne Roman Palace, walk to Bosham and catch the bus back). Our boat trips this month are for bird watching and suit all abilities of bird knowledge, though you are welcome to come along just to enjoy the views. The dates are 11th, 12th, 25th and 26th November, all departing from Itchenor at 11am. Take fourteen excited children, then add a dozen iPads and the odd camera or two. Introduce photographer, Paul Gonella, to the mix and await spectacular results. 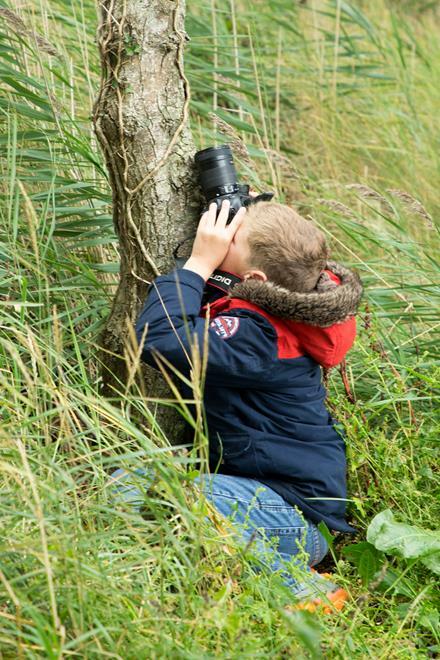 In the course of just a few hours Paul encouraged, enthused and inspired these youngsters to look at their surroundings from different viewpoints, to consider form and texture and to observe the differences between the natural world and the man-made. I so admire the way in which Paul works with these young people. Without realising it, they learn various rules of composition, they acquire a grasp of perspective and they also come to understand the effect that varying the focal point has on an image. Most of all however, they are encouraged to experiment and to realise that photography should have no boundaries. They are so receptive to this approach: much more so than adults who are much more focused on “getting it right”. As a result, they produced images of the quay and shoreline that are inspired, exciting, and innovative.